Energy saving is crucial for accelerating a sustainable energy supply. After all, energy that is not being used does not have to be generated. Our desire is to save energy without feeling of losing comfort. We know that this is possible, because much energy consumption takes place unconsciously and unnecessarily. To prevent this waste, an important step is a combination of creating awareness, giving insight and increasing knowledge about energy. Our sustainable products and projects offer people and organizations the possibility to discover their energy usage and the potential of energy savings. By creating creating awareness at the right moment, old habits make way for new behavior. Examples; The Wattcher an energy monitor, the Druple for smart showers and Energy Challenges. An Energy Challenge provides organizations, companies and municipalities with a good momentum to highlight sustainability. During the Challenge, participants, together with their team members, will save 4-6 weeks at home. They recieve the Wattcher energy monitor at home, access the online environment with tips and tricks and see how much is saved. Gradually they discover where the savings are. There will be an interesting interaction between home and at work. 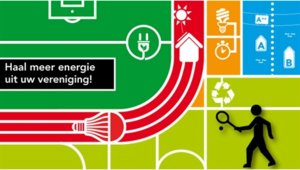 Together with the Klimaatverbond (Climate Organization for municipalities in the Netherlands), we organize an energy saving contest for municipalities throughout the country each year. The savings during the energy battle are particularly high every time. For example, the 6th edition ended in 2017 in an average saving of 12.5% of electricity and 18% of gas, measured on all participating households from different municipalities. Sports clubs can often save a lot of money and energy by making their clubhouse more sustainable. That’s good for the clubhouse and the environment. When it comes to the energy monitoring of sports associations, the purpose is by insight, understanding when and how much energy is consumed. Based on these outcomes, it is determined where can be saved. In 2015, in association with the city of Amsterdam and Climate Route, sports clubs were supported to save energy. We have provided the energy monitoring system for an analysis of energy consumption and savings. In the autumn of 2017 the project will have a follow up; among the sportclubs in Amsterdam an Energy Challenge will be organized together with the City of Amsterdam.